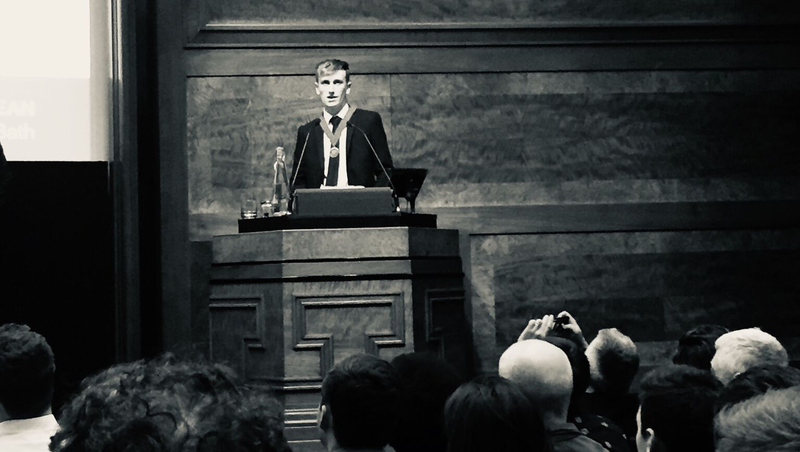 Architecture graduate, Justin Bean, has been awarded this year’s Royal Institute of British Architects (RIBA) President’s Medal for undergraduate students. Justin's final year project, ‘Dreaming of Electric Sheep’, led to him being recognised by RIBA. University of Bath architecture graduate, Justin Bean, has been awarded this year’s Royal Institute of British Architects (RIBA) President’s Medal for undergraduate students. The RIBA President’s Bronze Medal is awarded annually to the best undergraduate project, with this year seeing a record number of 125 entries nominated by schools of architecture from across the world. Justin graduated this summer from the BSc Architecture programme and it was his final year project, ‘Dreaming of Electric Sheep’, which led to him being recognised by RIBA. Explaining his project and commenting on winning this award, Justin said: “Dreaming of Electric Sheep is the culmination of intensive research, analysis and iteration; an approach embraced by the Bath design studio. Our relationship with technology and how we choose to live alongside one another has never been so complex; however I believe that there is huge potential for a new architectural epoch for human and machine. The success of students studying architecture at Bath is synonymous with the strength of this degree programme. The University’s BSc Architecture course, delivered in the Department of Architecture & Civil Engineering, is ranked number one in both The 2019 Complete University Guide and the Good University Guide 2019. Architecture at Bath has also been ranked first in at least one of the national league tables for the past decade, an achievement which no other university can match for this subject.